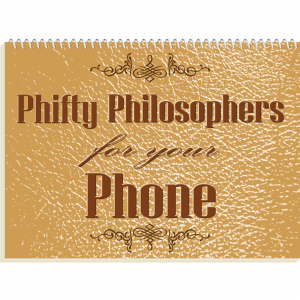 Imagine how awesome it would be to have fifty philosophers on your phone. Now you can, when you download this nifty little app. Oh, sure there are other dusty old boring philosophy apps out there but they’re nowhere near as fun as this one. ← ThinkAboutIt: Let the Thinking Begin!